Nani is one actor who always has his hands full with back-to-back projects. Over the past couple of years, Nani had around 7 movies hitting the screens and turning out to be successful. His upcoming film, Krishnarjuna Yuddham, is all set for a grand worldwide release on April 12. 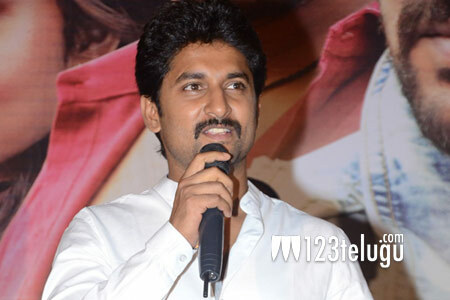 Speaking at the film’s promotional event, Nani revealed the main reason behind signing movies without taking any breaks. “I go through an inexplicable pressure before the release of my movies. I sign a new movie and commence shooting so that I forget the pressure to an extent. However, just like a debutant, I always get butterflies in my stomach before my films’ release,” Nani said. Krishnarjuna Yuddham is directed by Merlapaka Gandhi. The film has Anupama Parameswaran and Ruksar Mir as the female leads. Sahu Garapati and Harish Peddi have produced the movie in Venkat Boyanapalli’s presentation.